'Star Wars: Episode VII' will shut down production for two weeks as Harrison Ford recovers from a broken leg. Disney and Lucasfilm have confirmed a two-week hiatus will take place in August in order to work around the 71-year-old actor's on-set injury last month that resulted in him having surgery. Lucasfilm said in a statement: "In August, the team will take a brief two-week hiatus while adjustments to the current production schedule are made as actor Harrison Ford recovers from a leg injury. 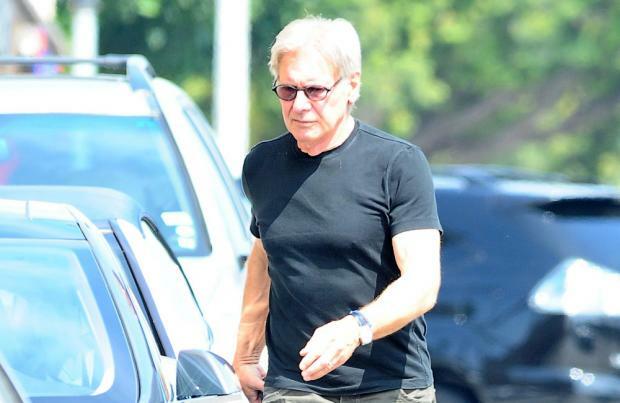 "Harrison is doing well and is looking forward to returning to the set soon. Shooting remains on track to wrap in the fall with the film scheduled for release on December 18, 2015." Ford was injured when part of the fictional spaceship, the Millennium Falcon, fell on him. He is expected to be out of action for two months and the long-awaited sci-fi picture's shooting schedule was changed to accommodate his absence. Meanwhile, director J.J. Abrams has added two new cast members to the film who were selected via an open casting call issued to the public last year. Crystal Clarke is an American actress studying in Glasgow, Scotland, and Pip Anderson is a British actor with expertise in parkour. Executive producer Kathleen Kennedy said: "The 'Star Wars' universe has always been about discovering and nurturing young talent, and in casting 'Episode VII' we wanted to remain absolutely faithful to this tradition. We are delighted that so many travelled to see us at the open casting calls and that we have been able to make Crystal and Pip a part of the film."